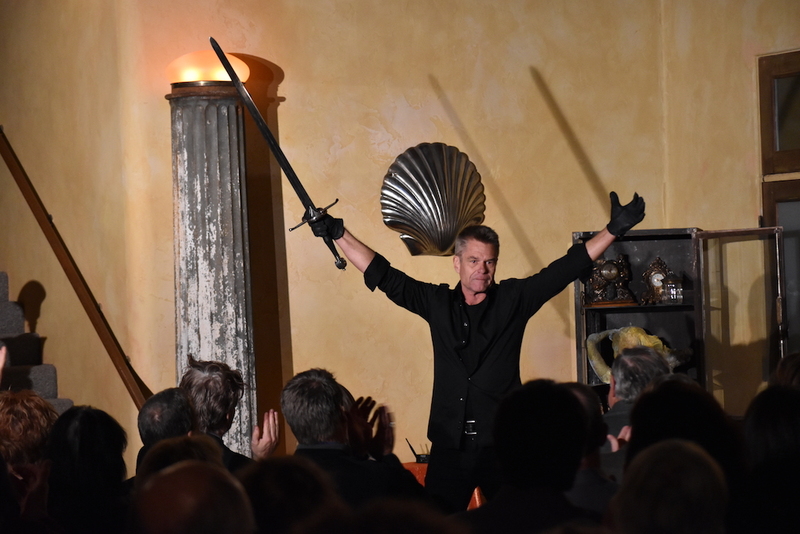 Theatricum’s Annual Gala & Silent Auction provides vital support for all that we do – from groundbreaking performances in our beautiful outdoor amphitheater to our acclaimed education programs. Among our past galas, Theatricum has presented “Stars & Shakespeare” with Wendie Malick, Ed Asner, Peri Gilpin, Harry Hamlin, and Stephen Weber; a reading of “Johnny Got His Gun” with Beau and Ezekiel Bridges; A Walton’s Reunion with the show’s actors; An Evening with Ed Asner starring as FDR; a holiday gathering with Amy Madigan; and more. Our 2018 Annual Gala will be held on Saturday, December 8, 2018 at 5:30pm at the historic Mountain Mermaid, Topanga. 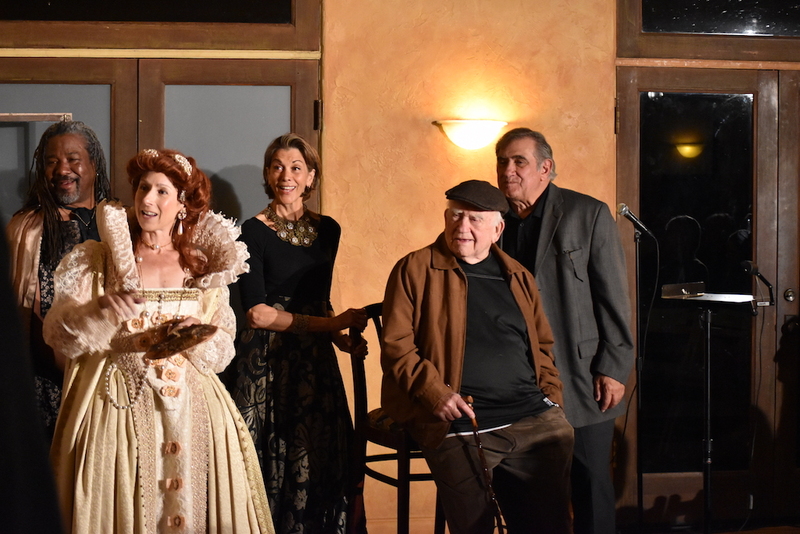 A 13th-century themed evening, co-hosted by Wendie Malick and Ed Asner, with Beau Bridges and Emily Bridges. More information here! 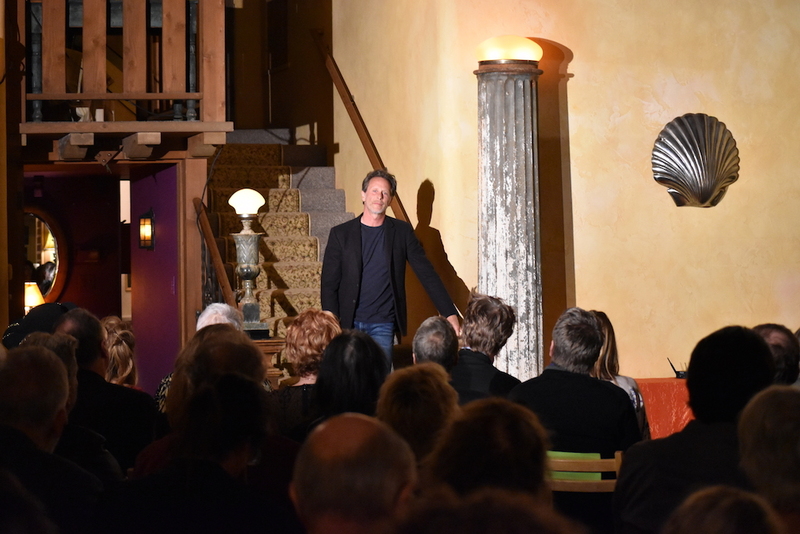 At Theatricum’s annual Donor Salon, donors enjoy a private reception in beautiful Topanga Canyon with our company members in character, and scenes from the upcoming season. This year’s salon will be held on Thursday, May 10, 2018 at The 1909 in Topanga Canyon. Donors will enjoy a preview of our 2018 Repertory season featuring excerpts from The Crucible, Coriolanus, and A Midsummer Night’s Dream. Join our circle of supporters and be a part of this year’s Salon! 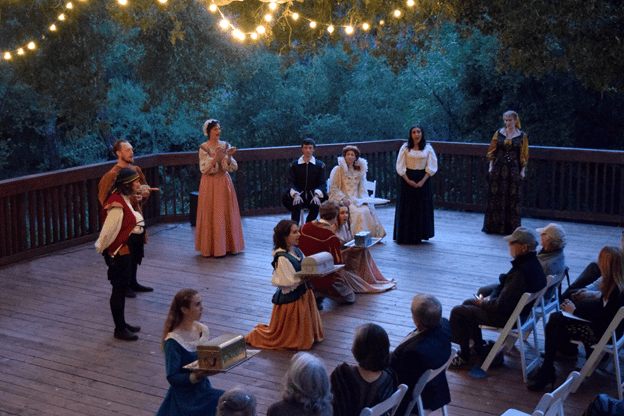 Along with the annual gala and donor salon, Theatricum hosts a variety of public events to benefit the theatre, including our Under the Oaks concert series, July 4th Family Barn Dance, and Theatricum BOO-tanicum in October. Learn more about our Special Events.